Are you ready for the 7/29/11 issue of Retail Experience in the News... recapping the latest articles and links shared on Twitter with the #retailexp hashtag this past week? My favorite story here has to be the first about Martin Lindstrom... Let me know what you think! I love coming across examples of retail experience creativity. 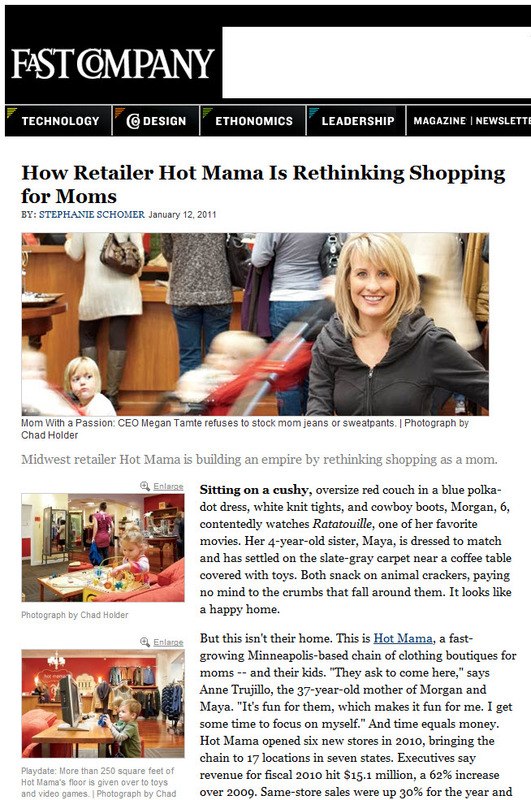 Case in point: Minneapolis based Hot Mama clothing boutiques which I discovered in FastCompany's February 2011 in an article titled How Retailer Hot Mama Is Rethinking Shopping for Moms. What I love most about this retail experience is that store itself is built around a centrally located space where kids get entertained with videos, movies, toys and coloring books. That means that wherever mom is in the store, she can keep an eye on her kids. Furthermore, with her kids entertained, she can relax and shop. The store concept addresses an unmet need that store founder and CEO, Megan Tamte, discovered after the birth of her child. In addition to the centrally located kid space [somewhat related to paying attention to fitting rooms, no? ], Hot Mama stores offer wide aisles for strollers. Sales associates readily double up as baby-sitters so moms can get "15 minutes of shopping peace." "Sales employees -- or "stylists" -- go through three certification programs in their first few months on the floor: denim, body type, and maternity. "All women have issues with their body," says Hot Mama president Kimberly Ritzer. "Our stylists can outfit any woman, aged 25 to 65, based on her body the minute she walks through the door, but they also build personal relationships to find a style that makes her feel comfortable. It's like shopping with a girlfriend."" Can you imagine this level of service and focus on customers? Something worth talking about, don't you think? How do you see applying this concept of intense focus on one customer segment and addressing the frustrations and needs she has to your retail environment? Drum roll please... Here is the 7/22/11 issue of Retail Experience in the News... recapping the latest articles and links shared on Twitter with the #retailexp hashtag this past week. Please stay cool and safe. Meet Diane Kazan, owner of Kazan Flooring & Windows, partner in the newly formed Urban Design + Renovations, and author of the Kazan Flooring Blog which she launched in July 2010. She's been busy since launching that flooring blog and relentless in coming up with communication and merchandising approaches not often embraced in flooring. In between her Do-It-Yourself Bathroom Workshop happening Thursday 7/21/11 in Franklin, TN, Diane took the time to answer a few questions. C.B. : Tell me about yourself and your role in your business. DK: We are located in metro Nashville, in a small town called Franklin. Franklin is considered by most to be the best town in Tennessee, if not in the southeast. Our store, located in the downtown area, features 20’ feet of glass windows, which we use to our advantage with seasonal displays. It is estimated there are 25k vehicles that pass by the store. We also try to engage those who stop in front of the store at the traffic light. We are a small business, and with only two of us handling the estimating, design, specifying, project management, contract preparation, invoicing, bill paying, and marketing. When I have a opening or some down-time, that is everything from a project standpoint is caught up, I can focus on marketing. We try to post on Facebook once a day about tips, projects and link all back to the blog when appropriate. Also, we have a “Do It Yourself Bathroom Workshop” scheduled in late July that we are very excited about. It includes manufacturer and distributor reps from Schluter, Mapei, Dal Tile, Armstrong Cabinets, Hanwha Quartz countertops, Porter/PPG Paints and more. The purpose is to educate the consumer on how to tile a shower, as well as promote related products and allow the attendee to get questions answered. We are planning great door prizes as well. We are promoting this event on Facebook with an ad, along with window signs on our building. A secondary goal of the workshop is to increase awareness of our store and what we offer. C.B. : Diane, why did you launch a blog? DK: Because I had something to say. No seriously, it was an opportunity to share ideas and trends and provide solutions to flooring questions and problems. It was also a platform to build credibility in the middle of Tennessee by writing about flooring projects. C.B. : What inspired you to do so? DK: I saw it as an opportunity to establish myself early in this venue. C.B. : What are your favorite topics to write about? DK: My flooring projects and new products. C.B. : How has that changed since you launched the blog? 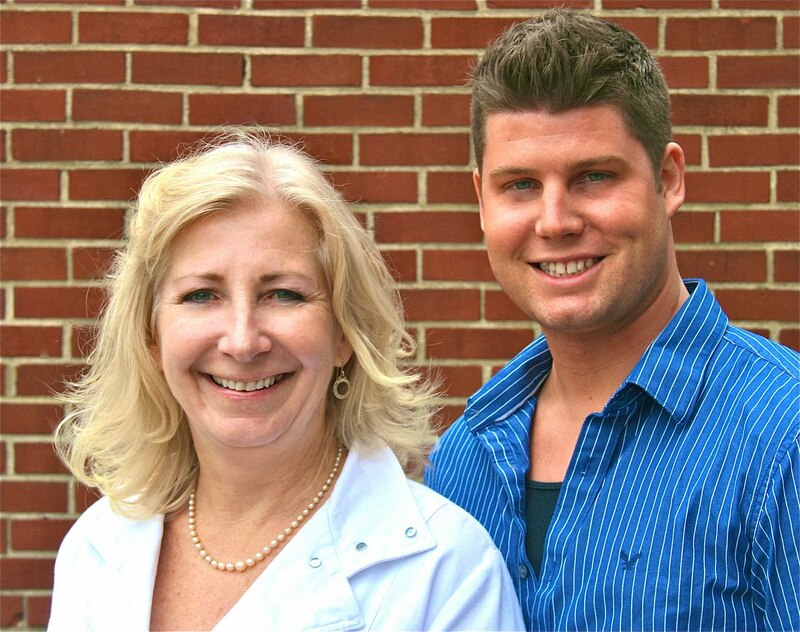 In January 2011, I teamed up with a partner and formed URBAN Design + Renovations with an emphasis on kitchen and bath remodels. That development has increased ten-fold the sources for blogging articles. C.B. : How do you manage your ideas and your time? DK: I try to blog once a week. Thankfully we are in a very visual business and people love “before” and “after” photos. C.B. : How do you use the blog in your company? DK: I promote it on Facebook and on two websites, Kazan Flooring & Windows and then URBAN. CB: Do others participate with you? No, I handle the blog myself, primarily because its origin is Kazan Flooring. C.B. : How has the blog benefited you? It’s given me a venue to promote my ideas about the remodeling industry. C.B. : What are you biggest surprises from blogging [good and bad]? DK: Is anyone really interested in my blog? I don’t have a lot of followers, so that is frustrating and I would love to have advertisers too. C.B. : How do Twitter, Facebook, LinkedIn fit in to what you do? DK: We participate in all, plus send email blasts via Aweber, have a QR code on our business cards, and just launched an URBAN mobile website and will soon add texting as another opportunity to reach customers. C.B. : Any observations about blogging platforms, mechanics, etc? D.K. : I’ve used Blogger, but currently the blog is on WordPress. C.B. : What advice do you have for others in flooring who are considering a blog? DK: Be consistent and always be looking for ideas, projects, “before” and “after”. In summary, I see blogging as part of an overall strategy to promote my business and increase my credibility in middle Tennessee. C.B. : Thanks, Diane, and congratulations! Diane sent in this photo of her store and explains that "The photo of the store front features the "Fourth of July" decor. We have over 25k vehicles driving by daily and we try to increase awareness of our business with our window displays. In fact, I've had several people say they look forward to out window decor changing. The faux shower for the DIY Bathroom Workshop will be the next entry as it will be set up a few days before the workshop and will remain after, too. Our main competition is men owned business, the majority of which tell their customers to select their finishes and they will install. We have found success with the opposite and bring the selections to them and then manage the entire project, including scheduling all subs, and those are subs with whom we have established relationships and constantly use their services, thereby guaranteeing first priority for our projects. As far as connecting with women, we do because I am and my partner isn't. We are different in all ways, except that we excel at this. He is more the selling connection and I have more of the project management skills, but I believe we "ooze" confidence and that comes across when we are presenting a design, explaining the pricing or signing the contract. I wish I could be in Madison for the DIY Workshop! 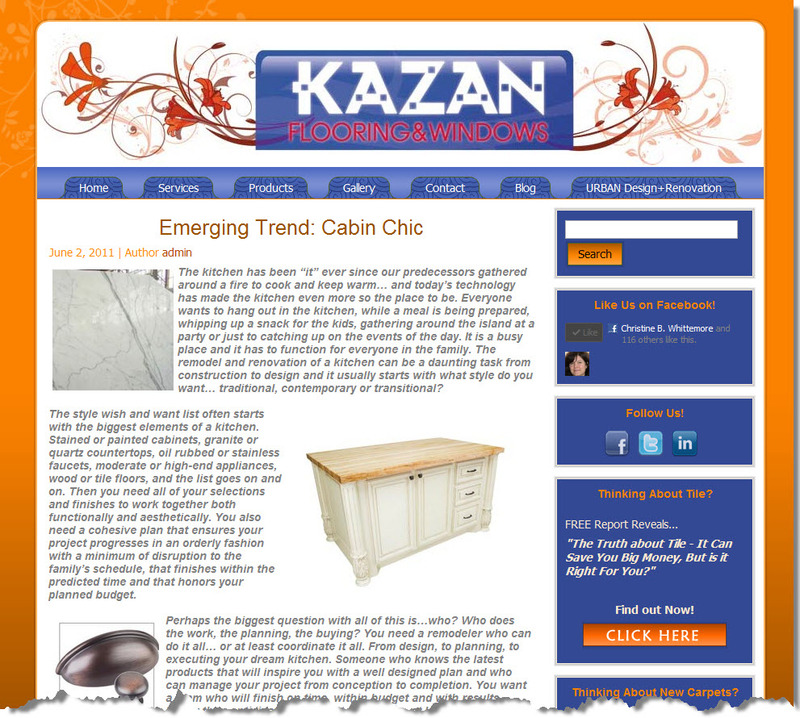 What's your reaction to Diane Kazan, the Kazan Flooring Blog and URBAN Design + Renovation? Could you see implementing some of her ideas in your business? Have you already tried some of the ideas? Share in the comments. There's so much creativity happening in the retail experience and I love highlighting examples from the flooring industry. I bet you have great examples, too! [Love this stuff!] Men respond differently than women to paid vs earned media http://ow.ly/5Ajtx #retailexp Reactions? Reuters on the new retail reality for shaky times http://ow.ly/5ARBZ How R U adapting your #retailexp to bring in shoppers? 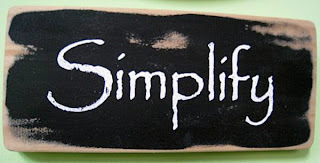 I have lots to update you on in this June 2011 update from Simple Marketing Now. First, I'm in the midst of a three-part social media marketing presentation series at my local public library. The first session was the most formal with an overview of social media and the major tools available. The next two will be interactive workshops. If you are interested, you can view the presentation and read a summary that one marvelous participant [and blog subscriber] wrote - just click on the link. Second, I'm hard at work on the Simple Marketing Now website so it supports my business better. I'll start including those blogposts here. Here is the introduction to the new blog on the Simple Marketing Now website: Welcome to the Content Talks Business Blog! Two very practical blog articles that focus on what matters most in business: How Do I Get More Business? 13 Tips and The Business of SEO: Get Found. As always, Thank You for reading and for sharing your feedback. Despite it being a short week, I think you'll still enjoy the 7/8/11 links of issue of Retail Experience in the News... recapping the latest articles and links shared on Twitter with the #retailexp hashtag this past week. I wish you, your family and friends, a beautiful July 4th celebration filled with the intensity of summer! How will you be celebrating! Let me know in the comments below. Happy July 4th weekend! Happy Canada Day! Here is the 7/1/11 issue of Retail Experience in the News... recapping the latest articles and links shared on Twitter with the #retailexp hashtag this past week. Guess which consumers marketers are ignoring? 50+, urbanites, women. http://ow.ly/5qij9 #retailexp opportunity!